Opposing the implication of GST in Ladakh region, District Congress Committee alleged LAHDC, Leh for a lack of serious intervention and detail discussion on the matter. The press release reads, “The whole old tax system of the country is going to shift into the widely talked GST regime first of July 2017 and the Jammu and Kashmir state will be joining in the system by its endorsement through proper legislation by the end of June. Had there be serious initiatives, Ladakh could have relieved due to our Schedule Tribe status and the extreme difficult geo- climatically condition. It further says that the GST Act has a provision that for the well of states in the country, the filing of returns by its traders up to ₹ 20 Lakh is exempted and for the smaller and northern stated, its limits is only ₹10 Lakh under a heading ‘Thresholds Exemption’. Had there been a demand, Ladakh could have put under the₹ 20 lakh category under a special consideration and our numerous petty traders could have fallen under this category. Secondly, there is a provision of “ composition Levy scheme” under which annual turnover up to 50 lakh of traders, manufacturers and restaurants are liable to pay tax at the rate of 0.5%, 1%, 2.5% respectively, a request for extension of the limit of annual turnover from ₹50 Lakh to ₹1 crore could have genuinely pleaded for Ladakh. Hotels and other tourist’s trade services fall under 28% tax regime, which also could have requested rigorously for inclusion in the above composition levy schemes. Thirdly, there is tax slab of 0.5% to 28% in the GST on different goods and services, Ladakh could have the struggle to put under the 5% slab on all goods and services with the facility of Input Tax Credit (ITC) also. Fourthly, GST implementation wholly dependent on line system and e-filling of monthly returns and mandatory. 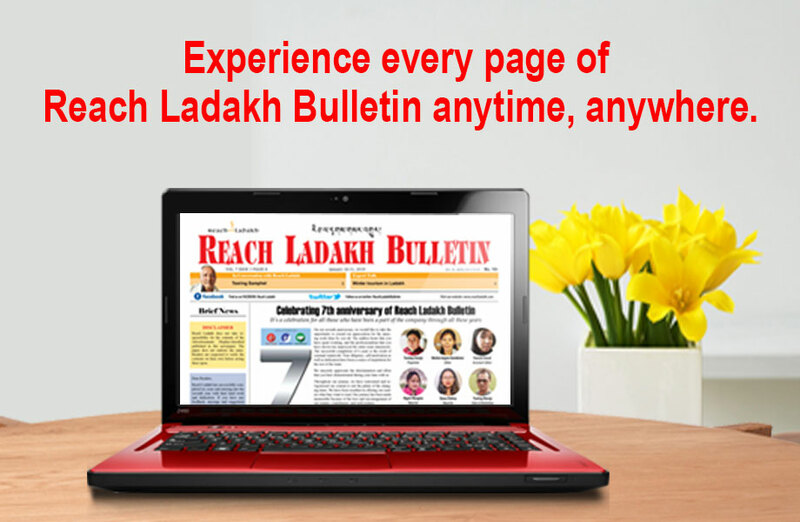 Had there been a timely move, Ladakh could have relaxation for 6 months e-filling of return due to the prevalent nonexistence and acute faulty internet facility in Ladakh. It is unfortunate that Ladakhi is going to miss a train due to the abject negligence, paucity of political acumen and lack of sensitivity of the LAHDC of Leh and Kargil.